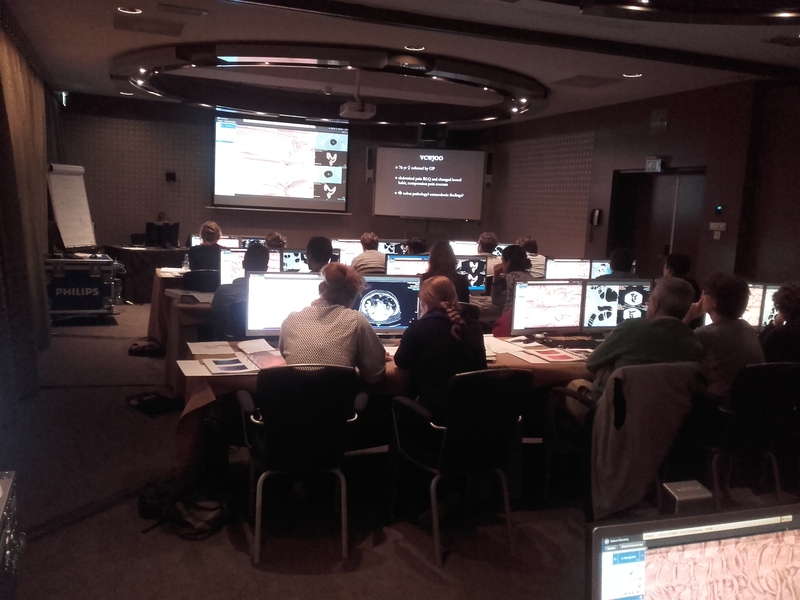 The 13th Virtual Colonoscopy course was held in the Bilderberg Garden Hotel in Amsterdam. This hotel is located in the museum district, surrounded by chic stores, restaurants, the Royal Concert building and Rijksmuseum, offered a perfect atmosphere for the participants to follow the intense training combined with excellent leisure activities. The course held 18 participants: 11 residents and 7 radiologists, of which 6 from European countries other than the Netherlands. Lectures, given by the faculty members and clinical local experts, were interspersed with case reading. All cases were analysed by the participants using dedicated image processing software, followed by a plenary case assessment by the faculty, based on full surgery and pathology reports. The informal atmosphere offered some good interactive discussions with the participants resulting in getting full consensus on how to read and report a CT colonoscopy case. The course all together very well organized, good catering; compliments! We look back on a successful course, thank you all for your participation and hope you recommend this course to your colleagues.